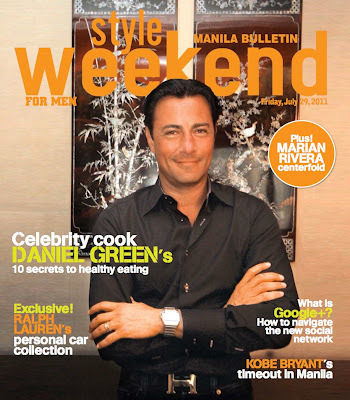 pls buy manila bulletin today (jul 29) for your free copy of style weekend for men (every last friday of the month)! 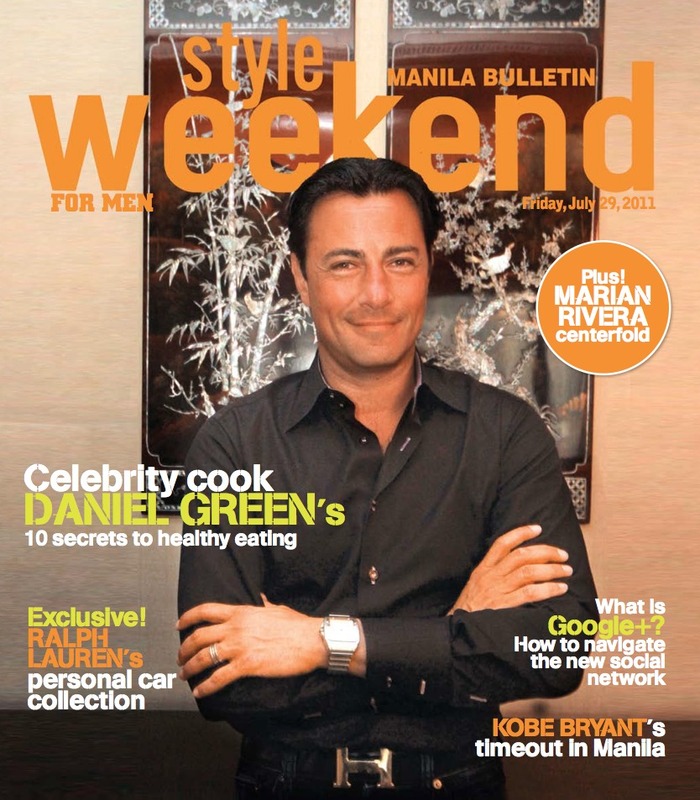 on the cover: celebrity cook, TV personality, and author daniel green, who was here to launch the eat well, feel well menu of dusit thani manila. also in this issue: ralph lauren's personal car collection, how to navigate google+, kobe bryant's manila stopover, marian rivera centerfold, and more!